We help IT team plan and manage your evolution with the Salesforce platform. 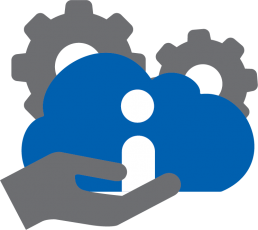 We offer services to administrate, configure and evolve your Salesforce instance. We evaluate your Salesforce performance and propose solutions to maximize your return on investments. We’ve developed comprehensive training programs dedicated to user and administrators. Our consultant create applications that put your customers in the center of your business. Whatever the Salesforce cloud you’re using, our consultants evaluate the quality of your data, your system integration and the needs for further upgrades. If your CRM is critical for your operation, our consultants and senior administrator can help your organization manage and optimize your Salesforce instance . 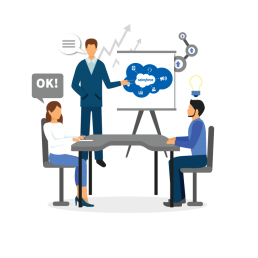 For Sales Cloud, Service Cloud and Pardot, we will walk your team through all functionalities and teach them how to use your Salesforce to its full potential. 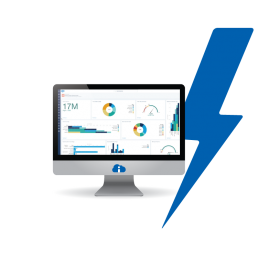 To support this Salesforce innovation, our consultants have designed a program to migrate your instance to Lightning for an increased data access and a more intuitive interface. 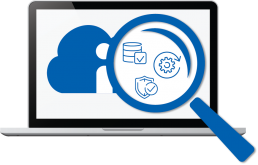 Detect the gaps that are taking you away from a maximal Sales Cloud, Pardot or Serivce Cloud performance. Identify inconsistent or irrelevant data and put processes in place to build a reliable data flow. Evaluate the integration of your Salesforce into your environment to optimize the connectivity between your all system. Plan for future upgrades or integrations of additional features delivering a fast return on investment. User adoption is the key to a successful CRM implementation. This is why we’ve developed training programs adapted to each users and to every Salesforce clouds. Salesforce trainings for Sales Cloud, Pardot, Service Cloud, Community Cloud and Salesforce CPQ. 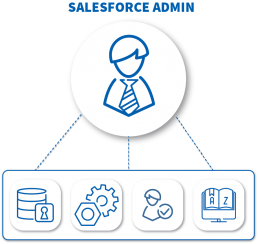 Secure your CRM administration with our Salesforce experts. Seamlessly managing your Salesforce fields, objects and user access. Ensuring your business continuity with Salesforce with a rigorous documentation process. Salesforce has gone with Lightning through a multi-year mission to revolutionize CRM’s. These innovations will impact all Salesforce clouds, free your data across the platform and offer more intuitive and mobile friendly interface. Redesigning reports and dashboard with the new Lightning look and feel.